Read/Reading: My reading has been fairly decent and diverse this summer. Began with several short biographies in the Swans Are Not Silent by John Piper. Then moved on to finish the behemoth Atlas Shrugged by Ayn Rand while also reading Leading With A Limp by Dan Allender and the very popular The Shack by William P. Young (very mixed opinion about this one). I finished Atlas Shrugged a few weeks ago and as you may have followed moved on to Desiring God by Piper. I finished that early last week and am currently reading a fascinating biography of Jonathan Edwards, called, of course, Jonathan Edwards-A Life, by Geroge Marsden. I am also doing a quick (I use the term loosely) read through the Bible to prepare for my seminary studies and for the sheer delight in God. I am well aware of the fact that the reading I have done this summer in no way compares to the vast number of pages I will read in the months and years to come. This may sound sad, but I am pumped! Music: One thing that goes right alongside the books I read is the music I listen to. Two bands and albums basically dominated much of my summer, which does not include the typical musicians I listen to like David Crowder. The first is Bloc Party's Silent Alarm, a delicious Brit Rock treat. The other is Death Cab For Cutie's Transatlanticism, which includes the beautifully melancholic track at the heart of the album by the same name. I must have listened to that one JAM at least 50 times. I am a huge fan of film scores as well as I thoroughly enjoy composers like James Horner and Hans Zimmer. Spattered throughout this summer have been Zimmer's scores for The Holiday (don't laugh...listen to it because it is really good despite the movie) and Gladiator. 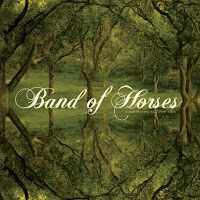 Currently I am listening to Band of Horses first album Everything All The Time particularly for the track The Funeral. I bought the CD yesterday and have listened to the album probably 15 times. I have come to realize I need to listen to an album at least 3-4 times before even attempting to make a verdict on how I actually like it. There are some though, like Paris Hilton's album, that I don't need to listen to at all to tell you that I don't like it. I just don't. I just laugh instead. I think my laugh sounds better. Or any sound that comes out of my for that matter. Movies: I have seen a mixture of movies both in the theater and at home. Of course the movie of all movies this summer is The Dark Knight. Nothing will top that for a while. I recently watched Batman Begins and thoroughly enjoyed seeing director Christopher Nolan's ability to maintain strong continuity between the two films despite fairly different storylines. At home, Frat Pack movies have dominated the screen, Zoolander the one viewed the most, to the point where much of my conversation with certain friends is merely lines quoted from the movie. However a recent classic was watched this evening as it has been on my mind of late due to a suggestion for a friend to see it for the first time. The film is Heat, the first movie both Pacino and DeNiro acted in together (The Godfather Part 2 doesn't count because they never actually had scenes together). My favorite seen obviously is when they are on the screen together, interacting for the first time ever, both in the movie and in their acting careers. Michael Mann shot this scene perfectly and the dialogue between the two is so well acted out, creating a friendly yet tense atmosphere. If you haven't seen it, do it. Do it now. Things are changing rapidly. The house I have lived for the past 2 1/2 years is being de-bachelor-fied/de-male college student-ifed, which basically means it has received a female's touch of class. I have to say it looks really good and I am really excited for Russell and Molliann. Their marriage will mark the end of my time here in Gainesville, in Florida, and this era of my life. So this is the rundown for the rest of my time if you want to keep track of me as many people's first question for me is, "Where are you these days?" This weekend is a bachelor party for Russell and Rick Kingsley, who is marrying my old STINT teammate Christina Griggs! The party is the whole weekend, planned by none other than the sweet AW's. It is marked by all things manly. There will be 20-30 guys joining us, so it should be intense. Also, my cousin is graduating from UF! Congrats Jenna! The following week I am finishing some things up in Gainesville, then driving to St. Simons, GA for Rick and Christina's wedding. I shall be reading Scripture during their wedding. This promises to be mad crazy fun, and I trust much dancing will occur. If no one else dances, I will. I will be that guy. I am really excited for those two getting married; they are both wonderful people who love Jesus, know they are loved by Him, and want to share His love with others. The last week in FL promises to be hectic as my Auntie is moving back to Florida from New Jersey. I will be seeing her, my mom, friends, and others down in Lake Mary, saying my goodbyes. I will be helping Crusade I am sure with the first week of activities. I will be packing and saying goodbyes in Gainesville. And then there is Russell and Molliann's wedding, where I shall be a groomsman. I am so thrilled to be a part of their marriage and that day. I love them both dearly and count it a privilege to have my final day in Florida coincide with lives being committed to each other before us and God. I know He is pleased. If you care to catch me at all, please hit me up and I will try my best to meet up with you at some point. So that's where/how I is and what I was/am/will be doing. Craziness.